The Phrygian cap is a soft conical cap with the top pulled forward, associated in antiquity with several peoples in Eastern Europe and Anatolia, including Phrygia, Dacia and the Balkans. In early modern Europe it came to signify freedom and the pursuit of liberty through a confusion with the pileus, the felt cap of manumitted (emancipated) slaves of ancient Rome. Accordingly, the Phrygian cap is sometimes called a liberty cap; in artistic representations it signifies freedom and the pursuit of liberty. Manumission, from manumit, is the act of a slave owner freeing his slaves. The “Great Mother”, Cybele, as the Greeks and Romans knew her, was originally worshiped in the mountains of Phrygia, where she was known as “Mountain Mother”. She was partially assimilated to aspects of the Earth-goddess Gaia, her Minoan equivalent Rhea, and the Harvest-Mother goddess Demeter. her most celebrated Greek rites and processions show her as an essentially foreign, exotic mystery-goddess who arrives in a lion-drawn chariot to the accompaniment of wild music, wine, and a disorderly, ecstatic following. Augustan ideology identified Magna Mater with Imperial order and Rome’s religious authority throughout the empire. Cybele’s major mythographic narratives attach to her relationship with Attis, who is described by ancient Greek and Roman sources and cults as her youthful consort, and as a Phrygian deity. An Empire style chariot clock featuring the goddess. France, c. 1825. Britannia was the Roman and Greek term for the geographical region of Great Britain which was inhabited by the Britons and is the name given to the female personification of the island. It is a term still used to refer to the island today. The name is Latin, and derives from the Greek form Prettanike or Brettaniai, which originally designated a collection of islands with individual names, including Albion or Great Britain; however, by the 1st century BC, Britannia came to be used for Great Britain specifically. Celtic linguist Xavier Delamarre argued that it originally meant “the world above, the visible world”, in opposition to “the world below”, i.e., the underworld), or *alb-, Proto-Indo-European for “hill”. This is not very clear, but the island of the earth is the mount on the eastern summit of which the manes joined the solar bark to make the voyage from Mount Bakhu east to Mount Manu in the west on their way to the mount of glory at the north celestial pole. Thus the pathway for the dead from this life to the upper paradise was laid down by the Egyptians. It was they who tunnelled the mount of earth and hollowed out Amenta with its places of purgatory, its hells, its paradise of plenty in the Aarru meadows; its means of ascent for the Manes by the mount or up the tree; its solar bark and boat of souls that voyaged over the waters of the Nun from east to west; its steps or ladder that was raised at the landing-place by night for the ascent to heaven in the upper Aarru paradise. This pathway of the dead is well-nigh universal in mythology, and it can be traced from beginning to end by means of the Egyptian mythology and the eschatology. Led by the jackal Anup as guide through all the ways of darkness, and lighted by Taht, the lunar god, who carries in his hand the lamp of light and eye of Horus as the moon of Amenta shining through the night, we emerge at length from underneath the upper earth. We are now outside the mount of earth which stands upon a vast illimitable plain of the nether-world. We thus retain or foothold in the Nun where upper earth comes to an end. We follow the track of the sun and therefore issue on the eastern side of the mountain, which the solar god ascends at sunrise when seen by the dwellers on the upper earth. Now we are facing the solar east and the garden eastward, which originated in the oasis of Inner Africa. The text continues with the resurrection from the Underworld that makes for interesting reading in the Book of the dead. It was indeed the Egyptian Ta Neter – Land of the Watchers, the land from which gods had come to Egypt. but the Latinized form propheta predominated in post-Classical times, chiefly due to Christian writers, probably because of pagan associations of vates. “pertaining to a prophet,” c. 1600, from Latin vates (see vates) + -ic. The druids, the Celtic priestly caste who were believed to originate in Britain, were outlawed by Claudius,… However, under Roman rule the Britons continued to worship native Celtic deities, such as Ancasta, but often conflated with their Roman equivalents, like Mars Rigonemetos at Nettleham. Ancasta was a Celtic goddess worshipped in Roman Britain. She is known from a single dedicatory inscription found in the United Kingdom at the Roman settlement of Clausentum (Bitterne, near Southampton). Ancasta may be taken to be a local goddess, possibly associated with the nearby River Itchen. Who are Americas Black People? The origin of the term lies in the Hebrew word for “giant”. An Attis cult began around 1250 BC in Dindymon (today’s Murat Dağı of Gediz, Kütahya). He was originally a local semi-deity of Phrygia, associated with the great Phrygian trading city of Pessinos, which lay under the lee of Mount Agdistis. The mountain was personified as a daemon, whom foreigners associated with the Great Mother Cybele. N 39. 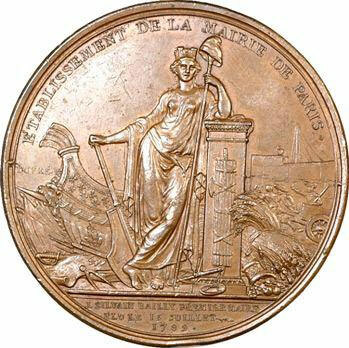 Election of Jean-Silvain Bailly (a Freemason) as Mayor of Paris; Goddess Liberty and Phrygian cap, fasces, compass, scroll, etc. Free Nations or Vessels of the Vatican? Are there any truly Sovereign Nations? Flamen, Inis, m. the priest of a particular god. Festus derives the word from filum, thread, yarn, cloth, because he wore daily a woollen cap, hence he received the name of Flamen, quasi Filamen. Others derive it with less propriety from pileum, denoting a cowl or cap, thence Pileamen which gradually changed into Flamen. That the word may be traced to the covering worn on the head admits of no doubt, but it may more probably refer to the colour than either the form or substance. The old adjective flammeus signified of a flame colour, and this forms a more natural origin of the term than either of the two above-mentioned. Flamineum, i, n. the office of a Flamen (Tac. Ann. iv. 16). Adj. Flamineus, et, Flaminieus, a, um. Flamine(ae)? (ae)des, the house of the Flamen of Jupiter. Flamineus camillus, the servant of the same priest, whose father and mother must be both alive; camillus(? anciently denoted a servant, the idea afterwards conveyed by minister. Flaminica (uxor), the wife of the Flamen of Jupiter, who wore a flame-coloured robe (flammeum vestimentum), because the lightning is of that colour (Ov. Fast. ii. 27). Other derivations are given of these terms, nor is it to be denied that the readings differ greatly.- Flamen Dialis, the priest of Jupiter, first created by Numa Pompillus, who adorned him with a splendid dress, and gave him an ivory chair (sella curulis). That monarch himself performed the greater part of the duties of this priesthood. 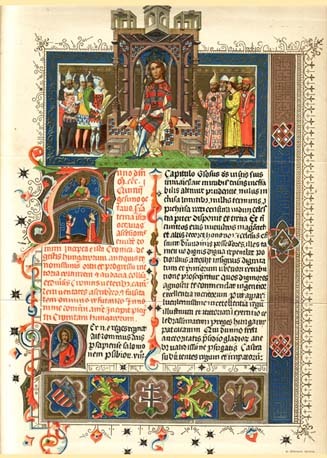 The appointment continued with the kings, and after the expulsion of the Tarquins, three men of patrician rank, whose parents at their marriage had observed the ceremony of confarreatio, were nominated to the people, who claimed the exercise of that power, but restricted their choice to one of the three. The pontifex maximus with the augurs then inducted the Flamen to his office with certain ceremonies. His dress consisted of a purple robe and a conical cap; the former called laena, and the latter apex. It was unlawful for the Flamen to die with the apex on his head (Ap. Bel. Civ. 395). The Flamen Dialis became a senator in right of his office, which C. Valerius Flaccus claimed in 211 B. C., after it had been long discontinued on account of the unworthiness of the former Flamines. Valerius likewise asserted, that he had a right to the toga praetexta. It was in the power of the pontifex maximus to compel a man, against his will, to accept this office, as in the case of the same Valerius. From A. Gellius we learn, that it was unlawful for the Flamen Dialis to ride on horseback, to see an armed army, to take an oath, to wear a ring, unless of a particular kind, to take fire from the temple of Jupiter, unless for sacred purposes, to have a knot in any part of his dress, to touch or name the she-goat, raw flesh, ivy and beans, to go below the extended branches of the vine, to sleep three successive nights in one bed, or, for another person to lie in it, to appear in the open-air without his cap, to touch venison, to put off his lowest tunic, unless in covered places, lest he should be naked in the open air, as it were under the eye of Jupiter, to enter the place in which there was a dead body, and to touch the dead, although he was permitted to attend a funeral. By a regulation of the emperor Augustus, the Flamen Dialis could be absent from the duties of his office not longer than two nights, and only when his health required it; even in that case, the permission of the pontifex maximus was necessary. Small as this indulgence was, it could not be obtained oftener than twice in the year, and not at all during the public solemnities. Certain privileges belonged to the office. If the Flamen Dialis entered a house in which any one was bound, the person must of necessity be set at liberty; if a criminal on his way to be beaten with rods implored the interference of his priest, the punishment could not take place that day. He held the most honourable place at entertainments, with the exception of the Sacrifieulus, and his marriage could only be dissolved by death. Law or custom imposed on him certain observances in their own nature trivial. A freedman only could poll his hair, and what was cut off, as well as the pairings of his nails, were put in the earth below a fruit-bearing tree. Of similar description were the regulations respecting the feet and other parts of his bed. He resigned his office on the death of his wife, who was subjected to nearly the same rules and observances. The law regulated her dress both as to form and colour. It was unlawful for her to go up more than three steps, and these only of a particular kind, and at a particular time. Beside the Flamen Dialis, there were other two, the Flamen Martialis, and the Flamen Quirinalis. In rank, the Flamen Dialis surpassed these, a natural consequence of his being the servant of the king of the gods. The Flamen Martialis could not quit the city; hence A. Postumlus Albinus, consul, was not allowed to go to Africa to carry on war, as his absence would interfere with the religious rites of Mars (Val. Max. i. 2). The Flamen Quirinalis, and the Vestal virgins, showed great zeal in their official duties when Rome was taken by the Gauls. They neglected their own affairs, consulted what of the sacred things they could carry with them from the city, and what necessity would oblige them to leave behind. The utensils of the latter kind they enclosed in casks, and buried underground in the chapel next to the dwelling house of the Flamen Quirinalis, where, in the time of Livius, it was reckoned unlawful even to spit. What was portable they conveyed to Caere (Liv. v. 40). Other Flamines, called Minores, from their inferiority to the three already mentioned, and from plebeians being eligible, were afterwards appointed. When deification became common in the Roman state, each emperor had his Flamen, but of these a particular account is unnecessary. Houses near the church, in which the clergy resided. 1. A title of bishops. 2. Christians who practised the office of flamen, or heathen priest. A canon of the council of Eliberis denounced flamines. That the word may be traced to the covering worn on the head admits of no doubt, but it may more probably refer to the colour than either the form or substance. The old adjective flammeus signified of a flame colour, and this forms a more natural origin of the term than either of the two above-mentioned. Flamineum, i, n. the office of a Flamen (Tac. Ann. iv. 16). Adj. Flamineus, et, Flaminieus, a, um. Flamine(ae)? (ae)des, the house of the Flamen of Jupiter. Flamineus camillus, the servant of the same priest, whose father and mother must be both alive; camill(u)s? anciently denoted a servant, the idea afterwards conveyed by minister. Flaminica (uxor), the wife of the Flamen of Jupiter, who wore a flame-coloured robe (flammeum vestimentum), because the lightning is of that colour (Ov. Fast. ii. 27). The name-sake of the Flamens appears to be the Flemish, who no doubt are named after the title given to Romes patrician high priests and the enthusiasm that they showed for the patrician Flamen Dialis and their Cult of Amon Ra’s traditions stylized as Jupiter Amon, all of which were of course, heavily ‘encouraged’ by the “Father of Europe’s”, Charlemagne’s, brutality in dispensing the wishes of the Church Cult of Amon Ra relocated to Rome towards their unification of the Underworld and its deities under the High Priest Cult of Amon Ra’s auspices alone. This, together with the advantage that accrued benefits for the Flemish, soley because their geography fortuitously reflected the geography of the Underworld, as those lands whose character somehow ‘substantiated’ the existence of the Cult Priests of Amon Ra’s worship of the Underworld as being genuine, having as their topography, descent from their mount(ains) into the most low-lying regions of Europe, the nether-regions or ‘Nether-lands’ ‘below sea-level’ within their tribal territories, became quite naturally a base of power in the ‘regulation and administration’ of Saturn-Lucifer’s usurpation of God’s Rule of Law and His freewill, as well as, a location from which Saturn-Lucifer’s stolen ‘treasuries’ could be further made to swell, by extending their fraudulent economic mechanism to the rest of the world in a more subtler guise; that of the further refined banker’s lie of economy, to be first established in Sweden and Britain as the world’s first central banks, of which the Bank of England is the better known of the two, and then from there the templates of their operations would establish the principles of central banking to the rest of the world, forming a closely unified efficient single network of banking operations to expand Saturn-Lucifer’s treasury for ‘the regulation of the church’s external government and state in the fulfilment of the church of Amon Ra’s mission’, of which mission in its present final stages ought to be perfectly clear to the reader by now. Romanæ historiæ anthologia An English exposition of the Romane antiquities, wherein many Romane and English offices are paralleld and divers obscure phrases explained. By Thomas Godwyn Master of Arts: for the vse of Abingdon Schoole. For though the laws of England are unwritten, it seems not unfitting to give them the name of laws, since law is nothing else than the pleasure of the chief of the state which has the force of a law. Let us be reminded of what we are told Jesus said when he spoke of the spirit of God in Heaven when denying the priests of the usurper god of the ‘Underworld’ (Beelzebub the prince of the devils, Satan-Lucifer himself), from mirroring his Father’s seat of the ‘world above’. The background context setting the stage for his damnable remarks made to the sect of the High Priests of the Cult of Amon Ra, as they were known in antiquity long before the pharisees adopted their ways, begins with, ‘A House Divided’, Matthew 12:22 – 12:23, and continues with Jesus then directing his words to the sect of the High Priests of Amon Ra, knowing that their presence amongst the multitudes are with him, at, Matthew 12:24 – 12:30. From there, Jesus proclaims the belief in biblical scriptue, or the writings of the traditions of men, the writings of those men of the various sects of the Cult Priests of Amon Ra, in, Matthew 12:31 – 12:32, as forgivable when speaking of their condemnation’ for those who think of such as sin. And those of whom will speak ill of him who is above all others, not excepting his mother, will in their condemnation of him, for those who think of such as sin, will be also forgiven. A biblical canon, or canon of scripture, is a list of texts (or “books”) which a particular religious community regards as authoritative scripture. The Bible (from Koine Greek τὰ βιβλία, tà biblía, “the books”) is a collection of texts sacred in Judaism and Christianity. It is a collection of scriptures written at different times by different authors in different locations. Jews and Christians consider the books of the Bible to be a product of divine inspiration or an authoritative record of the relationship between God and humans. The importance of Rome to the spread of civilization in Europe is attested by the fact that the word for “write” in Celtic and Germanic (as well as Romanic) languages derives from scribere (French écrire, Irish scriobhaim, Welsh ysgrifennu, German schreiben). The Latin word scribere, meaning “to write,” and its form scriptus give us the roots scrib and script. Words from the Latin scribere have something to do with writing. To scribble is to write quickly or carelessly. To describe is to write or tell about something or someone. A manuscript is a document written by hand. To transcribe is to write down something spoken or copy something written. 2. (archaic) A writer and doctor of the law; one skilled in the law and traditions; one who read and explained the law to the people. The Catholic Bible is the Bible comprising the whole 73-book canon recognized by the Catholic Church, including the deuterocanonical books. To perhaps acquire greater clarity as to what or who is meant by the term, Lucifer, the significance of ‘freewill’, and from ‘where’ it is derived, is central and remains the key as to whom or what the term Lucifer signifies in its contextual sense. Christ as Lucifer, the light-bearer, with regards to ‘freewill’ and the world above, in taking His words contextually, tells us that there are no secrets and all things are to be made plain to understanding. Contrast this with the great Usurper and Tempter, Satan-Lucifer; the light-bearer of the fires of destruction, whose means are full of ‘mystery’ that baffle, and it begins to become evident that the morning-star being spoken of as the Father in the Exultet is indeed, Satan-Lucifer, Father to Christ. The Catholic Church has the oldest continuously functioning legal system in the West, much later than Roman law but predating the evolution of modern European civil law traditions. 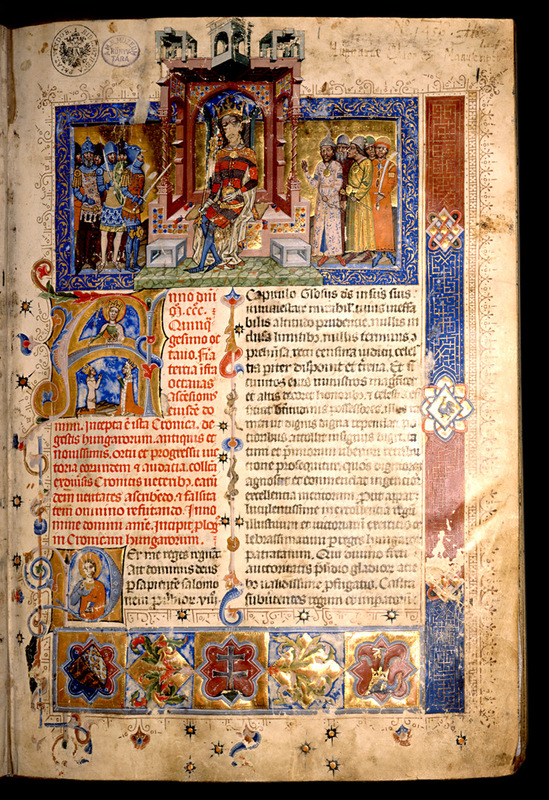 What began with rules (“canons”) adopted by the Apostles at the Council of Jerusalem in the first century has developed into a highly complex legal system encapsulating not just norms of the New Testament, but some elements of the Hebrew (Old Testament), Roman, Visigothic, Saxon, and Celtic legal traditions. What is that instrument as a document called in the business world, that acts as the synonym for a political ‘constitutional religious’ charter, and that in doing so reflects the exact nature of a religious institution being a personally owned private business corporation, by communicating that a corporation has been indeed created from the personal private fictitious-ideas of an individual or group-individual ? The business operations of a company may operate in different areas as themes through which the company profits from its services. The corporate business themes as operations for which a religious institution as a corporation can be said to consider, is that theme as a business operational model, that has been given by the mission of Christ to communicate ‘His Father’s Will’, which Will amounts to His provision of freewill. Alternatively, its business operations can extend to the other theme as a business operational model, given by the mission of Saturn-Lucifer to usurp Christs Father’s Will, and dispossess Him of His ownership to his creations and the freewill He provided for them to operate with. 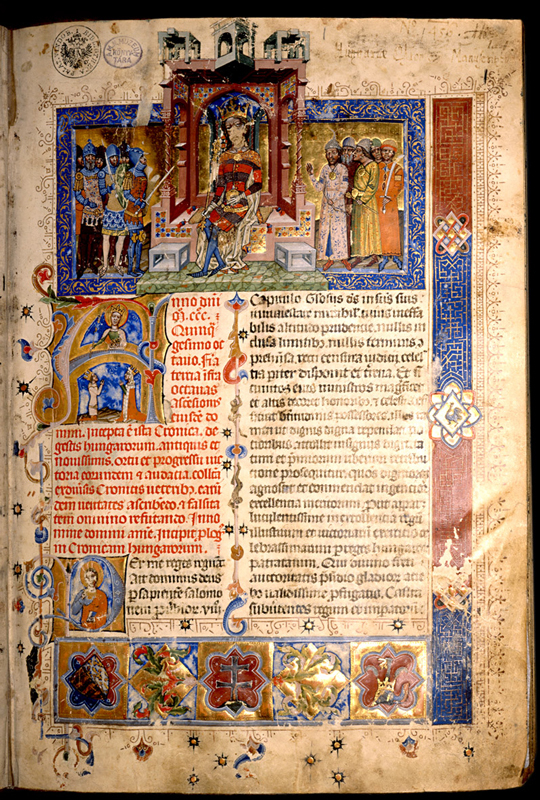 The authors as scribes of scripture, perhaps, can be thought of as proviiding a Memorandum of Association creating a fictitious corporation that outlines the extent of its operations it can pursue together with provisions that authorise changes to its operations by the owners of that corporation, whether they are the authors themselves or those who remain hidden and on whose behalf others are acting. Canon, perhaps, are the policy or rules that regulate the corporations administrative functions towards its operations or ‘mission’. Together with scripture, it perhaps can be said that these documents form the entirety of the corporation combined in the term Biblical Canon. At the board level of the corporation and among the corporations authors and owners (i.e., associate-members/share-holders who as a ‘founding-association’ form/own the corporation, and whose interests in the corporation are generally administered by the company secretary), there will be those who are aware of the use of the corporations documents as one of providing for a themed strategic long-term direction, a big picture approach, for its continuation and existence in its pursuit of accruing benefits to its owners through its services. The Memorandum of Association is then that personally owned private fictitious ‘word’ which creates fictitious worlds and laws for those worlds and the objects to be found in them, as alternative ‘heavenly’ rules. It is ineffect a book of spells that alchemically transfers ownership into the hands of an eventually transmuted other. In its greater sense, it is that of a mythologically themed long term strategic document of alchemy, dispossessing the property and souls of its rightful owner into the hands of another or others. By its very nature as the ‘word’ that creates, it then issues forth countries, and therefore all countries belong to it. All of those who are in convenant (contract) with the corporation can then be said to be contracted to the terms and conditions provided for by its Biblical Canon as personally owned privately held beliefs of the view taken on the relationship between God and hu-manity in the mission of the corporation. In other words, they do not have a contract with God or ‘their own ideas’ of what Biblical Scripture requires of the relationship between God and hu-mans, but of what is required of them in choosing to convenant with personally owned private divinely inspired beliefs as Canon, otherwise known as Biblical Canon. It is also their responsibility to register and communicate with shareholders, to ensure that dividends are paid and to maintain company records, such as lists of directors and shareholders, and annual accounts. Legal Definition of Human Being is….a monster? The company’s memorandum of association sets out the bounds within which the company must ​operate. The shareholders need only propose an amendment to their companies’ articles of association, and then vote for it. In corporate governance, a company’s articles of association (called articles of incorporation in some jurisdictions) is a document which, along with the memorandum of association (in cases where the memorandum exists) form the company’s constitution, defines the responsibilities of the directors, the kind of business to be undertaken, and the means by which the shareholders exert control over the board of directors. The question remains as to, what could be the name of the document that equates to a religious institutions Memorandum of Association forming it as a business corporation ? This commonsense answer is in keeping with the need to copyright scriptural documents as personally owned private instruments that create private corporations. Canonical Law and other instruments then created by the corporation, then form its Articles of Association, which no doubt allow for the fictitious creation of countries. Any church’s or religion’s laws, rules, and regulations; more commonly, the written policies that guide the administration and religious ceremonies of the Roman Catholic Church. To determine whether scriptural text as Memorandum of Association are in fact copyrighted personally owned private corporations, what need only been done is look for the copyright wording and insignia within a founding religious book, and from there link its publishers or the founder(s) to the religious institution the book represents. With regard to Islam, its ownership lies in understanding its historical origins. What does apostolate mean? Who are apostles today? Baronius Press as a Roman Catholic company, is completely loyal to the Pope and Magisterium, and is committed to producing good solid Catholic books and resources that reaffirm the faith and the tradition of the Church. IP is….copyright….which enable people to earn recognition or financial benefit from what they invent or create. N. LXXI – Legge sulle fonti del diritto*. It is fascinating to see a listing result of copyright ownership when the terms, WIPO, are searched. Vatican City State can be likened to an abode of heaven for the safety of the Hoy See to conduct his affairs of the business of the church towards its mission. World Wars in particular, do not and have not ever made sense, when people to find themselves arriving at a point in time where they feel the need to annihilate each other on the ‘say so’ of a few leaders who they do not personally know, but will nevertheless take their integrety at face value as ‘politicians’. That is controlled hypnotic insanity made only possible through the means of mass propaganda and false notions of vanity being feed to the multitudes. The coincidences of world wars being a naturally occuring process are highly improbable if not impossible except for the obvious inclination that all people fall victim to hypnosis and tend to revel in the vanity given them through endless repetative education. The proof of this is in the irrational wars fought that always leave the controllers in their privileged positions of continuity as both Self-Ennobling and self-validating with little or no great sacrifice of their lives taken and with greater gains of control and wealth in their hands than before. The symbolism carried over to Roman culture, which held the laurel as a symbol of victory.….Ovid tells the story in the Metamorphoses that laurel tree was first formed when the nymph Daphne was changed into a laurel tree because of Apollo’s pursuit of her. Daphne is the Greek name for the tree. 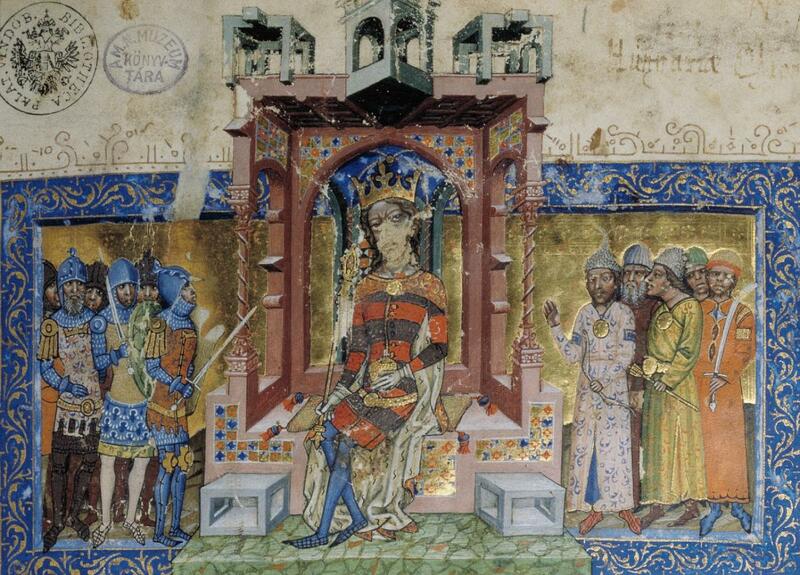 Louis I, the Great (1326 – 1382), King of Hungary and Croatia from 1342, and King of Poland from 1370 until his death. The Hispanic Digital Library ( BDH ) is an online resource of the National Library of Spain (BNE) provides free access to thousands of documents scanned by the Library. And then there is his impact on this country’s artistic and intellectual heritage. No one can be sure of the exact figure, but it is estimated that the destruction started and legalised by Cromwell amounted to 97% of the English art then in existence. Statues were hacked down. Frescoes were smashed to bits. Mosaics were pulverized. 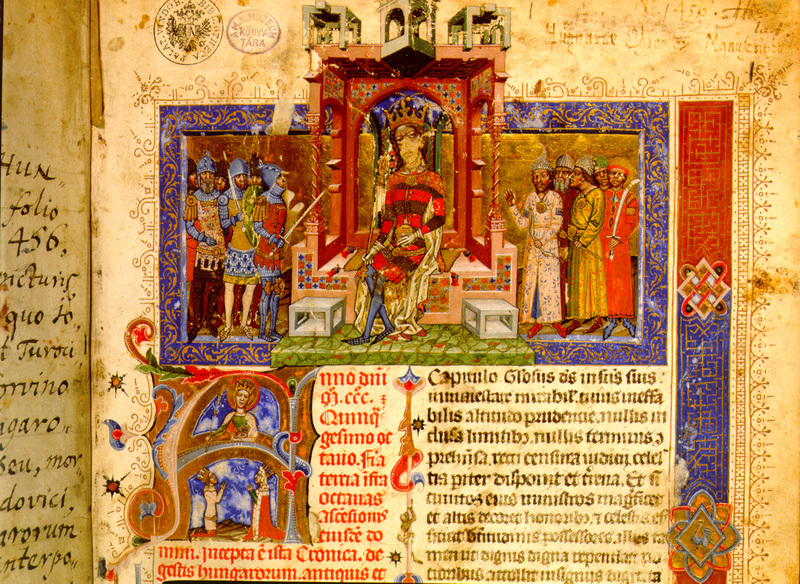 Illuminated manuscripts were shredded. Wooden carvings were burned. Precious metalwork was melted down. Shrines were reduced to rubble. This vandalism went way beyond a religious reform. It was a frenzy, obliterating the artistic patrimony of centuries of indigenous craftsmanship with an intensity of hatred for imagery and depicting the divine that has strong and resonant parallels today. The European Union has its administrative systems in two locations comprising separate political territories as countries; Strasbourg France and Brussels Belgium. It is known that a cathedral was erected by the bishop Saint Arbogast of the Strasbourg diocese at the end of the seventh century, on the base of a temple dedicated to the Virgin Mary, but nothing remains of it today. We are soon to discover that this temple of the Virgin Mary was in fact originally her predeccessors,Isis, whose cult of the High Priests of Amon Ra as Jupiter Amon, worshipped the Underworld attributes of both her and her son Horus in the aspect or form of the Apis Bull. The Cathedral stands on the exact site of a roman temple built on a little hill above the muddy ground. The cult had now spread as far as the river Rhine, far away from the god’s Egyptian place of birth. This can be illustrated by the impressive bust of Ammon, which was discovered at Lechenich near Bonn in Germany. Temple D is the largest of the four, dates back to 2nd century BC with Late Republican restorations, and was devoted to Lares Permarini, but only a small part of it has been excavated (a street covers the most of it). After the Roman Empire occupied the later southern Netherlands, Roman mythology became important there, as well as religions from the Middle East, including relics from Egyptian mythology, Judaism, Mithraism and later Christianity. The mythology of the Low Countries, modern-day Netherlands, Belgium and Luxembourg, has its roots in the mythologies of pre-Christian Gaulish (Gallo-Roman) and Germanic cultures, predating the region’s Christianization by the Franks in the Early Middle Ages. Cicero in his De Natura Deorum derives the name of Dīs Pater from dives, suggesting a meaning of “father of riches”, directly corresponding to the name Pluto (from Greek Πλούτων, Ploutōn, meaning “wealthy”). Legends from both ancient Greece and Rome record stories of mortals who entered or were abducted into the netherworld through such gates. The Imperial cult of ancient Rome identified emperors and some members of their families with the divinely sanctioned authority of the Roman State. The framework for the Imperial cult was formulated during the early Principate of Augustus, and was rapidly established throughout the Empire and its provinces, with marked local variations in its reception and expression. Relief sculpture of Marcus Aurelius sacrificing at the fourth temple. Also used from early 14c. in reference to the ancient pre-Christian British priests, in imitation of Geoffrey of Monmouth. There are three terms we need to define: Holland, the Netherlands, and Dutch. In Old English dutch simply meant “people or nation.” (This also explains why Germany is called Deutschland in German.) Over time, English-speaking people used the word Dutch to describe people from both the Netherlands and Germany. (At that point in time, in the early 1500s, the Netherlands and parts of Germany, along with Belgium and Luxembourg, were all part of the Holy Roman Empire.) Specifically the phrase “High Dutch” referred to people from the mountainous area of what is now southern Germany. “Low Dutch” referred to people from the flatlands in what is now the Netherlands. Within the Holy Roman Empire, the word “Netherlands” was used to describe people from the low-lying (nether) region (land). The term was so widely used that when they became a formal, separate country in 1815, they became the Kingdom of the Netherlands. The word “Holland” literally meant “wood-land” in Old English and originally referred to people from the northern region of the Netherlands. Over time, it came to apply to the entire country. Who or what were the Celts/Gaul’s? In an enlightened age we are encouraged to explore for ourselves avenues of thought to improve our present condition for that of a better one, or at the very least correct errors in our perceptions. Those enlightened societies that value freedom are openly mature with their attitude of drawing from lessons when looking to the past, in the hope of improving the future; a future were even conflict could be possibly averted having openly and freely welcomed difficult subject matter to challenge and explore, peaceably, perceptions that may not be popular. Rather this than repeating the same follies that bring tragic consequences, we maybe told. The term, ‘vatican’, strangely enough, visually is reminiscent of the terms, ‘vaccine/vaccination’. In the context of ancient religions, the norm was the worship of Underworld deities and their daemons. And as has been previously noted, manes, together with also daemons, emerged from mounts (hills/mountains) within the depths of the underworld. Vaticinate can hardly be said to be an ‘act’ of prophesying the blessing of ones soul, but rather that of an act of damining ones soul given what is now known of the ‘transmutation’ of Lucifer in his rising in place of God. Both terms, although not having the same meaning, nevertheless leads one to suspect a ‘contexual-connection’ with their remarkably similar sounds. And indeed, there is a connection. That of the historically continuing open, and then symbolically hidden, worship of bovine – the Underworld aspects of Horus and Isis in the form of the ‘Apis Bull’ and ‘sacred cow’; particularly when we take Jenner’s previous (and no doubt continuing) office as that of representing the Jesuits in his former incarnatation and the self-validating clergy of Amon Ra’s beliefs, relocated to Rome, in the Underworld given as ‘purgatory’, Isis, and Jupiter Amon, whose aspects can take the form of that of the Apis Bull and scared cow from antiquity. There also was a verb bull meaning “to mock, cheat,” which dates from 1530s. Why is The Pope’s Mitre Shaped Like a Fish ? Man has always had a deep longing to understand his origins beyond his immediate physical surroundings, and to this end his attempt at explaining his origins provided a means to better come to an understanding of his place in what seemed to be the strangeness of his existence and enivornmet. In time, with the mythological explanations he provided for himself relating to the physical objects about him and his relationship in the order of things, there would be those who would place the responsibility of explaining man’s place with themselves. The temptation to draw these powerful feelings of discovering the origins of existence and man’s place in that existence, seemingly became too great in their use as tools for manipulation and control by those who had given themselves the trusted authority of providing a greater understanding to the multitudes. The powerful intuition of knowing of, and seeking, that ‘other’ that gave rise to existence, would naturally be ordered to what the senses made conspicuous in the natural world, and related closely to those who would provide for explanation as a means to Self-Ennoble and self-validate themselves above others; the proofs for doing so was always the Self-Ennobling Ones and their self-validating preists distractions away from the Rule of Law to be found in freewill, to their rule of law as their freewill in their phrophesying. By these means, the Self-Ennobling Ones and their self-validating priests through the attentiveness given to them, would maintain their privileges in endless cycles of drawing people into suspecting the other as wicked, decreed by the heavens, and finally have them drawn into crescendos of chaos and destruction with each other (tribulations), when the time called for such. It would be then left to the very same Self-Ennobling Ones and their self-validating priests to provide explanation, suited of course to maintaining their interests as profound and necessary useful visionaries, as to the causes of man’s tribulations. Of which causes it would never be revealed the true nature in the explanations themselves given to the people in distorting their urge to learn of what lies beyond, by turning those greater considerations inwardly against themselves so as not to ever pose a threat to the Self-Ennobling Ones and their self-validating clergy’s rule of law as ‘their say so’, as opposed to the Rule of Law provided for as freewill. Distractions away from freewill and maintaining positions of ever greater control and power would be the ultimate purpose for playbooks of mythology, evidenced by their reliance on mystefication and the reliance of the Self-Ennobling Ones and their self-validating priests as the final authorities of the greater meaning of what these mystefication meant. Mythological playbooks are then simply a ruse to draw attention away from the true rule of law and its proviision of freewill by having people take seriously what becomes clearer, once a position of ‘outside looking in’ is taken, of a scheme to draw people into cycles of repeated patterned behaviour ending at the most opportune moments with vanity driven conflict provided them through others mythological playbooks that reflect their own destructive vanity. That once these mythological playbooks are given any amount of serious gravitas by the mind without suspecting that they are schemes in themselves that entrap their listeners and readers into vanity driven destructive behaviour, people will inevitably pattern the behaviour ochestrated for them in their writings, preparing them by first conforming them to patterns of seemingly righteous behaviour given by high-minded moralizing from a central character, and ending in each calling for the inevitable destruction of the other, to combat wickedness, as the only means to renew reason and prosperity for all in a New Age. That is the means of their subterfuge, by putting forward a central character representing the innocence of a sheep with which wolves will dress themselves as, to ceaselessly heard and stalk their prey, with the use of mythologically fables carefully patterned in conformity to the observed behaviours of man. Control and power over others in maintaining privileged positions rooted in greed and vanity, will mean necessarily having influence over the personal economy of people that greed demands, and a mechanism not only to obtain power through the theft of the personal economy of others, but to also provide an excuse to justify that theft by interfering in the personal and private relationships people make in coming to exchange freely their livelihood that they freely brought about themselves. That is what the sole purpose of the obfuscation of the true rule of law that provides for freewill is for; its replacement with that of the Self-Ennobling Ones and their self-validating clergy’s rule of law as ‘their say so’ – made justifiable through their mythological playbooks serving as distractions. Understanding the visible motives of those that can use divinely inspired text for dual purposes, serves to see their use as playbooks in the damnation of the lives of people in an artificially conjured world of controlled insanity resourced through a lie of economy that directs events according to an underlying script to be found in plain sight, and which can only be undercovered by coming to a simple appreciation of the dangers of fictions and hearsay. Jenner and Vaccination. By Charles Creighton, M.D. The present day Self-Ennobling Ones and their self-validating clergy know full well their theme of overpopulation has always been a fraud. What they fear and have always feared is their justified paranoia that people will discover what their privilged positions have been based on and the destructive nature of their systems of control. Both destructive to the planets environment, since they were always the ones leading the destructive expoitation of the environment, and also the destruction they have caused in the generational lives of people, and will of course continue to cause. The threat to the worshipers of Amon Ra of the Underworld (Saturn-Lucifer) – the Self-Ennobling Ones and their self-validating clergy – was never and could never be the people from the third world, but the Europeans waking up in their tranisition to a tyrannical world government through Agenda 21 and its ambitions to depopulate the entire world, regardless of perceived privilege.